It is a message I have heard many, many times during my journey as a sponsor and volunteer. When I’ve met young adults who were once sponsored children, they always convey the importance of our letters. One young man from Kenya told me his sponsor was the first person to ever tell him he was loved. This theme also plays out when I hear about sponsors’ experiences in visiting their sponsored children. My friend Jill Foley shares some insight from a recent trip. “Last year in Peru — my one and only trip — we asked the kids we met if they could ask their sponsor anything, what would they ask. More than one child wanted to know why their sponsor didn’t love them. I was thrilled to find out that Compassion is rolling out a new and improved way to send some love to our sponsored children! This all-new online letter-writing tool, which is accessible through the Write My Child link within My Account, allows you to create bright and beautiful messages with 33 different background templates to choose from. You can choose from a variety of colorful prints including whimsical animals, flowers, bold sports themes and even special templates for birthday and Christmas letters. There are choices available for boys and for girls, and for the youngest child to the teenager or young adult in the final years of sponsorship. When writing to our 17-year-old Kazihizina in Rwanda, I chose a pale blue-green template featuring flowers and a dragonfly. I planned to share some information about a recent home-school project about raising Monarch caterpillars and thought the background would go nicely with the topic. Once you choose a background template, you can type in the text of your letter, even saving a draft if you have to leave the computer while you are typing. Unlike the older version of the online letter-writing system, the new system regularly saves your work, which will prevent you from “timing out” and accidentally losing your message. You can choose up to three photos to upload and attach to your letter. This feature allows you to easily send pictures and will help your sponsored child feel even more connected with you and your family. With how easy it is to attach a photo, it’s still important to avoid sending pictures in which people may be immodestly dressed or that accentuate our economic differences. 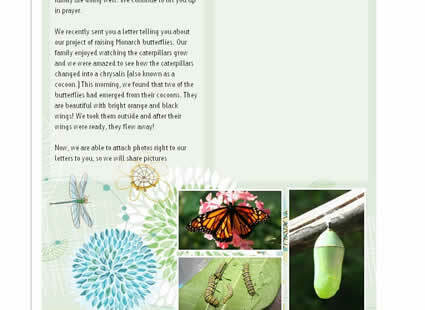 For my letter to Kazihizina, I chose photos taken during our caterpillar project. One by one, I clicked the “Upload” button and picked the pictures I wanted to share from my computer. Each image uploaded quickly, and I was able to crop them to fit within the frame on the stationery. Once you have added your photos you can preview your letter. If you’re pleased with how it turned out, just click “Send This Letter” and your message will be on its way! The new online letter-writing tool makes it easy for you to create a one-of-a-kind personalized message. 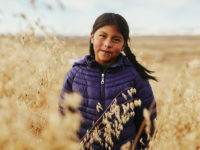 I hope it inspires you to take a few minutes each month to connect with your sponsored children. Remember, your letters equal love. Send a little love to your Compassion child today. Michelle is a member of our Advocates Network. She helps create strong sponsor-child relationships through her personal blog, Blogging from the Boonies. How long does it take before my letter is received by my the child we sponsor? Do the translators take care to check if there is anything on the back of the letter? When I wrote my first letter online, my last sentence ran over to the back page. Yes, our translators take care to make sure everything is translated in your letter. When writing to my sponsored child online via Compassions electronic stationery, do I still need to put my child’s ID number and my sponsor number somewhere in the letter? Can the online letters get lost or mixed up if I don’t? No. When you write to your child using the online letter writing tool, our system will automatically place your child’s name, your child’s number, your name, and your number at the top of your letter for processing. I used this for the first time this evening. It was easy and very user friendly. Thanks so much for developing this way of writing letters. I have a question though. When I hand write my letters, I photo copy them so I can keep a copy for my records in order to keep my questions/answers straight and so I don’t get redundant. For this email letter, I clicked ‘send’ before I saw the ‘print this page’ button. Is there any way of pulling up my sent email letter on my account on your website so I could print it out? Thanks! I love writing my Compassion child. I also love to travel and have shared some of my thoughts on trips with her. I want to be sensitive to the issue of economic differences, but some of my travels have a great influence on who I am and how I see the world. Do you have any tips on sharing my thoughts on these jourrneys, or would it be better not to discuss them at all? Your child(ren) will love to hear about your travels. You could share how they impact you or the sites you saw. You could get some postcards from the places you visit or take pictures to send as well. I have shared about my camping trips, (I have not received a responce letter to that yet) and I think that they will enjoy hearing about my life, adn I am sure they will love to hear about yours as well. That was my feeling, but I wanted to get a second opinion. I’m careful to avoid topics like shopping I did, etc, but the travel is such a big part of my ife it is hard to develop a close relationship without sharing it. Thank you for this update! I recently wrote to my sponsor child using this format and it was so easy! I didn’t have to worry about printing pictures I wanted to share with my child AND I was able to write a letter during a study break (I’m a graduate student). A question about using the letter writing templates…why does my letter appear on the back of the page and not the front when I preview it? Have tried everything and it still appears on the back of the page? I recently sent a non-email letter to my sponsored child in Africa, her birthday is this month. If I send an e-mail letter to her now, will that reach her first? Or is it just a regular letter that Compassion will print and send when they recieve it. Thank you so much for this online writing tool! As many others have stated, the best feature is the ability to upload pictures to send to my child. Before, I had very few photos on hand to send. Now that I can choose from the ones on my hard drive, I can send photos each time. Many thanks for the time and talent that went into developing this tool. Hey i am kinda worried that my letters havent gotten to my kid in brazil. do any of you know what happens to the letters for the child to see it? I am pretty positive that your kid in Brazil got your letters. IT can take up to 2-3 months for him/her to recieve them. Either the letters are printed in the Colorado Springs office and sent to Brazil to be translated, or they are printed and translated in Brazil. Children recieve mail once a month. Does this answer your question? I’ve been looking on your site for the way to write an online letter, or Christmas wish to Anna my girl I sponsor, and I’ve searched and searched, without seeing it… really it should be easier to find on your site. I do want to write and stay in touch, but need an easy system, where is the place to write online letter????? Here you go Pamala: https://www.compassion.com/letter-writing/write-my-child.htm. I’ll forward your feedback on to our web team! Just wrote 2 letters to my sponsored girls. Thank you for making this new letter writing feature available. It is AWESOME! So simple and the designs are so cute. LOVE the photo upload feature – so convenient. I will be able to write much more often because of this. Thank you Compassion – you guys ROCK! I used this feature for the first time tonight and I LOVE it. Thank you so much for implementing this feature. It will help me write more regularly to my child. It was so simple, creative, and the photo feature is fantastic. Thanks so much. Sarah, don’t worry. They take all the money that comes in, and divide it equally among all sponsored kids. If it’s between you meeting your basic needs or adding to the Christmas fund, you need to worry about you! So, don’t worry about it. Also you can save money by using the email option to send them a cute Christmas letter on the new paper. I hope someonw will know – I’m really struggling to send money for Christmas gifts for my sponsored children this year, never mind my correspondence sponsorships, especially as the deadline is so soon. And I’m not talking, oh it will eat into my Christmas budget, I’m talking it will eat into my food budget. Does anyone know, what happens if sponsored children’s sponsors can’t afford extra money for Christmas gifts? I know money is pooled for all the registered children… I just don’t want my kids to go without, and if it’s necessary I may be able to borrow some from a friend just to tide me over. Anyone able to reassure me either way?? I think the new system is ok… but it would be nice to have a template that I could just upload pictures and write a little caption under each… maybe 5 or 6 big pictures with captions rather than the small pictures on the bottom of the page. I think they did it as it is for the focus to be on the letter content rather than pictures with no letter attached. I just recently sent my kids 5 graduation photos of me with captions on a separate sheet of paper along with a letter of mine. I imagine CI doesn’t have a template like you describe as they want sponsors to write letters in addition to pictures. As it’s also expensive to print pictures and they don’t charge for it, I imagine it would have harder to expand their costs to cover printing so many pictures. However, I know all our kids LOVE getting pictures and postcards. thanks Emily. I am new to this and as a 12 year old can get a little impatient. JP, I’ve heard that the online template shortens the time frame by about 2 weeks. So for me, sponsoring kids in Ecuador, it takes about 3 months to get the letters to them and 3 months to get them back – so about 6 months total. But it really depends on the country, some can be much quicker than mine. how long do you people think it takes for a person to get a letter from the online thing, translate it, and write, translate and send one back? I also love the new templates and the ability to upload pictures right onto the letter. I always email our child when I receive a letter from her and reference the date of her letter. I also send her a letter each month with some special items for her and her two sisters. As she gets older, it gets harder to find age appropriate, acceptable items to send. I’m thinking she is outgrowing stickers and bandaids! LOL Any ideas for a 9 year old girl? I send the boy I sponsor “how to draw ___” pages and posters. have you considered paper dolls? What about flat ribbons for their hair? Or bookmarks. There are some pretty cool kids’ crafts online that you can print out on card stock that you could send them to decorate. I’ve seen paperdolls that can be printed and cut out and they could color those themselves, or you could color one and send them a blank one. Just type “printable free crafts” in your search engine and see what you come up with!! You can print all sorts of things on Card stock!!! Every time I visit a child who Compassion helps, they pull out a homemade album of every single letter their sponsor has ever sent. These letters sketch their hopes for the future because, in poverty, it’s often hard to find hopeful role models. I am so excited about this easier way to write Bindu and Vania, our family’s sponsored girls. Seena–it is printed out on very nice quality paper, and then sent over to countries. Somewhere I have seen a picture of the letters, thought it was on this blog, but may on OurCompassion. Thanks, Debbie. That is nice to know. That must get expensive for Compassion after a while………but I must say- I am soo happy about being able to upload pic this way, though.. I think that the cost is offset by the fact that there is no international shipping fees if done online. Also taken into account that for the children, letters = love… priceless 🙂 Worth it! I pray they roll this out in Canada too! I just found out about this ‘new’ feature this morning when I wrote our little girl. I am so thrilled to see that we can upload pictures now. Have sent several emails in the past, but as someone said earlier in this blog, hardly 2 or 3 pictures bcoz it takes time to go and get pictures printed out, esp when working:(..just curious as to how the child gets the pictures. is it printed off or just shown on the computer. curious. I love these new templates! I just have a question. 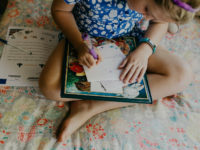 If I want to write to my child for their birthday and use the birthday template, how far in advance should I write the letter so that the child gets it around their birthday? Good news, anyone who was not able to copy from a Word document, should be able to now. The programmers worked on it the last few days, and it is working now. 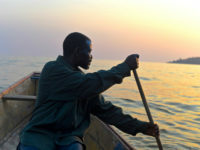 By the way, if you are having problems with it, the best way to get them solved is to go to http://www.ourcompassion.org We have been communicating with the programmers, and there are also people who are using it who might be able to help you (that includes Michelle who wrote this blog). I confess that it’s been several months since I’ve written to my little boy. I kept telling myself I would as soon as I printed some pictures to send. Just went on your site to make a payment. I was delighted to find that now, not only can I email a message, I can email photos! How wonderful!. I wrote a letter and attached some pics. I’ll do this more often now – I promise! That is wonderful news! Your child will be so blessed! If you need any letter writing inspiration, please click my name and stop by my blog! God bless you! Emily, unless you really need a printed copy for your records with pics and all, your online letter is printed in Colorado and sent on to the kids. You also, like before, will receive a copy of the text from them, once the letter is received. Jacquie, I have had an issue when trying to print my completed letter. I use Google Chrome as my main browser, and although I can print the stationary and any photos I upload onto the stationary, it will not print the text. Unlike other text issues posted here, my letters did go through the system just fine. They just will not print. Is this just a Chrome issue? Which browsers has the new program been optimized for? Hi Emily! Our IT Team is working on this issue and expect to have it fixed in about 2-3 weeks. I think this sounds absolutely wonderful! I’ve been sending a lot of my letters online because school’s been so crazy this year and I type so much faster than I write. But, while I know that it’s the fact that I’m writing that really counts, I’ve always felt a little guilty because when I hand write letters, I always make them really pretty with graphics and stickers and stuff and send pics or postcards. Now, I can make the ones I create online just as pretty. This is absolutely wonderful! 🙂 Thanks for doing this! Vicki, he probably copied from a Word document. They are working on that problem. For some reason it makes the text disappear. Type right on the form, and it works fine. I still have problem to load the photo, please help!! I sponser 5 children, this is wonderful for me to write to my children this way. What’s happening when you try to upload a photo? I use the free online service at http://www.picnik.com to resize my pictures. This may help you! Oh, ok. Yes, your photos need to be less than 4MB or you will get an error message. If you resize them and make them smaller you should be ok. Your photo needs to be below 4MB to work. I sure have a lot that are bigger, so I had to go through and look for smaller ones. You can always crop before uploading to get it down a bit in size. If upgrading the browser doesn’t work Megan, post your concern here: https://support.compassion.com. If we don’t have an answer for you we’ll report your experience to our IT Department. Megan, I had that problem too. What web browser are you running? I was running Internet Explorer 7, and had that problem. A friend told me to try upgrading to IE 8. When I did, it worked for me. I hope this helps! I love this! Thank you, Compassion. : ) I just sent 2 letters. I like the duplicate option. With a few simple changes I was able to send off some love to two of our children… with pictures! Yay! I happened upon your new letter-writing templates last night and was thrilled with the look and the ease of writing. I’m not very savvy, so I’ll wait till my next letter to try to enclose a picture! Great work! As a graphic designer, these new features I am absolutely THRILLED!! I have wanted to add pictures for some time and the new stationary is just delightful! Thanks so much for the improvements!!! I hope you’ll test it out. This is FANTASTIC…THANK YOU, THANK YOU, THANK YOU!!!! I just love this so much….so very, very much. Thank you. Thank you! Great idea; I’m not the best at writing letters. This is so exciting! I just took some digital photos this weekend and now I can send them off to my Hugo without having to wait for the hard copies to come in the mail. I’m so glad to see that we will now be able to upload photos to send with emailed letters. I’ll still send handwritten letters because I just love getting hand written letters, but this will be an exciting way to share photos! I needed to share some important family news with each of my kids and this tool made it easy to add photos and then duplicate the draft for each child to receive the same information. Will still continue to send other fun things along with hand written letters but what a great way to share photos! I’ll be sharing this with other sponsors at the letter-writing party I’m hosting next month. Thanks to all who helped launch this new tool! Wonderful! I try to write by hand some and send things like stickers, but this makes letter writing so much easier! This is awesome! I can’t wait to try it! Thank you! Hooray! I’ve been hoping for a way to send digital pictures, via the web. I will be able to send so many more that way. You may want to double check the auto save feature. I just typed a letter and it appeared to be saving automatically but when I went to click send, it said that my session expired and closed. When I returned to my draft, only two lines of the message were there. Good thing I copied and pasted it. Other than that, it looks great and works well! Thanks again for updating this feature. I LOVE this option!!! So excited to have an easier way to send photographs regularly…I am SO bad about forgetting to order prints and I know our Compassion kids enjoy seeing pictures! Thank you so much for doing this! Tracie, the letters are printed, sent to the countries, translated, and then delivered. I have used the email feature quite a bit, and when I visited my little girl in Ecuador, she showed me coppies of all the emails that I had sent. Also, I used to be able to look up my sponsored child on your website and see updated info and picture. I can’t find the place to do that now. Is it still available? Thanks again. That’s one of the many, many aspects of Compassion’s ministry that I love, they’re always improving ways for sponsors and sponsor children to connect — they know how important these letters are, life-saving in so many ways. I hope that they roll out this online format to Canada and other countries too! Just used the new letter-writing tool for my first letter to my sponsored child. I didn’t realize it was new and improved until I read this article. It was awesome! Thanks for making it easier for us! I am wondering the same thing as Tracie. I sent an e-mail to my sponsored child and I wonder how she receives them? Thanks for your response. Thank you for this new and improved online option! I think it will make letter writing easier for me and I love the option to include photos! This is incredible! I have been crossing my fingers for something like this. I love the templates and the ability to attach photos so easily. The only problem I have is the set crops for the photos. I would like to have the option to attach say two landscape photos and no portrait photos which I did not have the option to do. Other than that, it was a seamless and easy process. I wrote to all 4 of my children this morning and I loved that i could see exactly what they will be receiving through the preview option (of course pre-translation). This is so amazing. I’m so glad Compassion did this. I always end up sending my letters late because I have to go out and print pictures. Thank you! I love the new online writing tool. It makes letter writing fun and exciting. There have been several times where I’ve been short on time to sit down and write “real” letters, but have hopped on line and simply written ….”We Love you” to our sponsored kids. Those three words are enough, and so important for our kids to hear. Jill, what a great idea…. That never occurred to me…. On the one hand, I think they might be a little disappointed not to receive a whole letter, but on the other hand, getting a quick “thinking of you – I love you” note has GOT to be better than not getting anything when life is hectic and I can’t find time to write. I will have to do that…. At least then they will know I haven’t forgotten them!! SO glad you mentioned this! I just checked out the templates in my online account. Oh wow, they are FANTASTIC! Bravo to the designer — they are so cool. Great idea, Compassion! Our family will DEFINITELY use these. Hi Lisa, You mention Sent a Present of Compassion Canada. Am i allow to use this web since i am not live in Canada ? HI Anh — I believe the “Send a Present” feature is only an option if you’ve sponsored a child through Compassion Canada. Really! That’s so sad!! I hope they start the feature for Compassion (USA). I love the new format for letter writing! Finally I can add small photos on a regular basis on me emails. I’m a postal employee and still prefer to support that organization as well, but this is a wonderful upgrade! Where does one find these stationary pages on your site? I’m not finding a link…..
I’ve already seen comments on Facebook by people who had used this tool, already, this morning. But my husband tried to send a letter, last night, and ran into trouble. He completed the letter, clicked Continue, then Continue again (no photos), and that’s when he was thrown right back to the Text page. The box was empty–his letter was gone–and a statement appeared at the top, telling him he had to enter a letter, before he could continue. I watched him try it three times. Is it possible that was caught and fixed, overnight? My husband never writes a letter by hand, so if he continues to have trouble with the online tool…. Hi Vicki! I was just coming online to mention this. I found out that if you try copying and pasting from a Word document then hit Continue, it will take you back to the Text page. If you type the message into the Text box, it will work. I hope this helps! I found that when I pasted my letter into the box, as long as I clicked in the box and edited it in some way (typing in an extra space at the end) that the letter would save and go through just fine. It’s when you copy and paste and don’t actually type in the box that the letter-writing program gets confused and loses your text. Hope that helps! I used the online writing tool this morning 🙂 It was easy to use and will definitely be more fun for our sponsored child to receive. It did, however, take more time to do than I thought it would. All in all, a thumbs up! How do I get started with writing to my child online? This is great!! I almost always send physical letters because I got to personallize it more. But now I can personalize it much faster this way it will save me time and my child will get it sooner! Where do I find the templates for the new stationary? Thanks! Love the new letter templates! I zipped off 4 letters to our kids this weekend. The designs are so cute, and it’s easy to use. But the best part is that I can add 3 photos. Our kids will love these letters! A super solution for a no-hassle way to write to kids. Great job, Compassion! I’m so excited that you guys finally added the feature to upload pictures with our letters! Thank you thank you! It was a much needed feature. Especially love the option to directly upload photos!!! This makes sending photos so much easier! Thanks for the updates, Compassion! Following up on Tracie’s comment. I’ve hesitated to e-mail messages because I never know if they are picked up on the other end. Would our sponsored child be able to have a printed copy of our message to keep? If not, I’d rather keep sending paper letters with pictures and postcards she can hold on to. Once we receive the letter in Colorado, we print it and send it to the country office. The child receives the printed copy of your letter and is able to keep it. I’ve heard many stories of how much children treasure these letters. They aren’t the only ones who treasure letters. I have sponsored a little girl since she was 5 and she’s 16 now (she’s not so little any more!) and I have every one of her letters!!! This new tool is awesome I’m going to use it today! How do we get this letter writing tool? You can access the tool by logging in to your account on compassion.com. Click “Write my Child” on the left side of your account. with over 10 children to write to..unfortunately i cannot hand write each and every one all the time. i am so thankful that,with these new changes in templates, i am still able to be creative and make each contact special. thank you Compassion. Oh, I love this! Thank you so much! My 8-year-old loves to type letters…I think it will be fun to work with him to pick pictures and type up notes. I’m just curious about how the letter gets to the child. Is it printed and then translated and then sent? I sent one by email before and wasn’t sure if it got to my sweet girl. Tracie, these are printed off at the Compassion headquarters in Colorado and then sent to each country office. There, it would be translated and sorted by project. At that point it waits to be taken to the project and delivered to your child. Thank you so much for taking the time to write. Those letters are SO important!